Often other social platforms such as Facebook and Twitter are favoured over Google +, but this unassuming social network is just as important for your business - here is why. 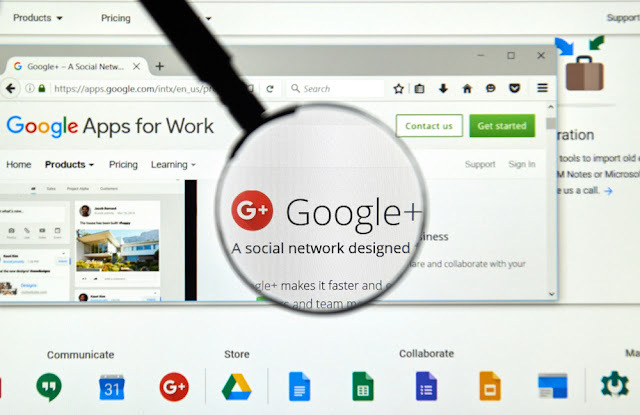 Google + not only presents an opportunity for you to connect with customers and your other industry connections, it has a significant impact on SEO - unlike other social networks. The reason for this boils down to the fact that a Google + page makes it easier for people to find you on Google - this can be attributed to its inclusion into the Google My Business product. 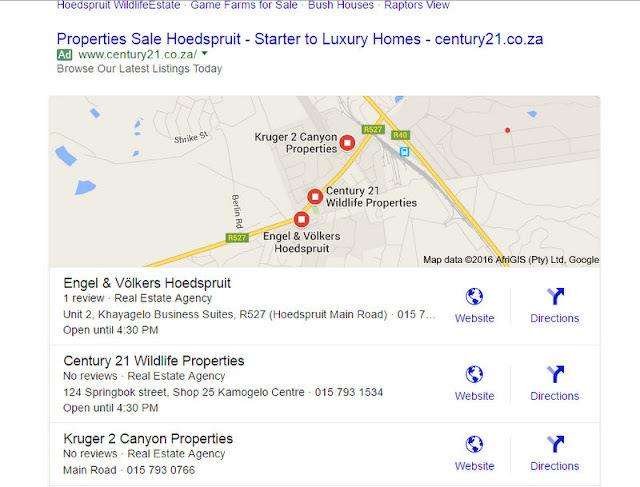 Google My Business use Search, Maps and Google + to make your brand more visible in local search results. 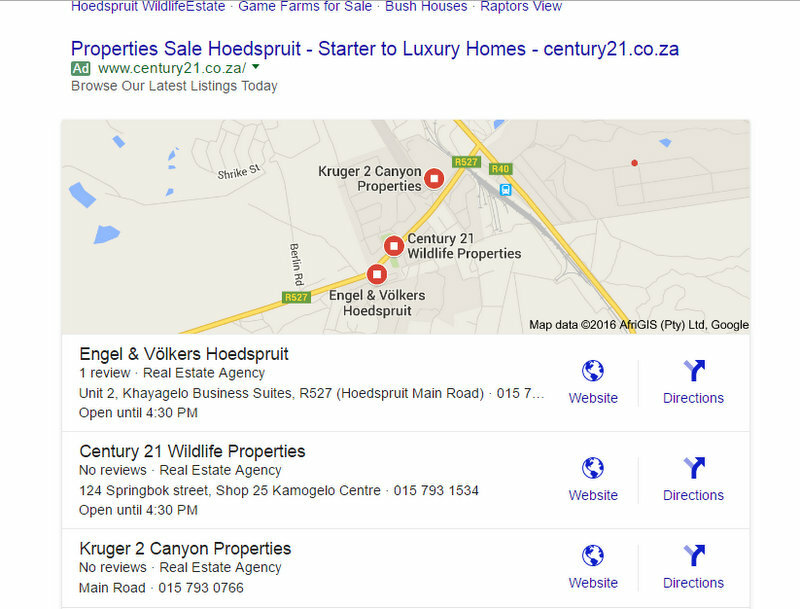 Customers will be able to find your business hours, your business address or contact details by simply searching for “real estate agents Hoedspruit” for example. The easier you are to locate on Google, the higher you will rank and as a recent study showed from Optify, websites that appear on the first page of Google get 54.8% of all the clicks from users. These local searches are becoming increasingly important as mobile internet usage continues to grow, meaning that improving your local SEO will also becoming more vital. Another great feature of Google + since the recent tweaks is the fact that customers no longer require a Google + account to leave reviews. That means that anyone can now leave a review and share their experience working with you - this immensely helps with your business’s credibility which in turns can help increase your organic search ranking and might help you garnish new customers without having to do much. 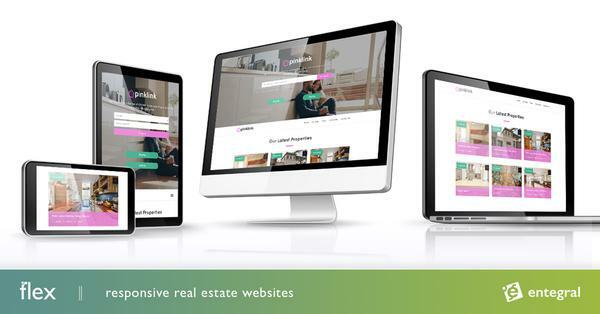 As with any SEO, the results won’t be immediate - it will take time, but by sharing listings or news articles from your Flex website on your page you are possibly reaching clients you wouldn’t have normally.